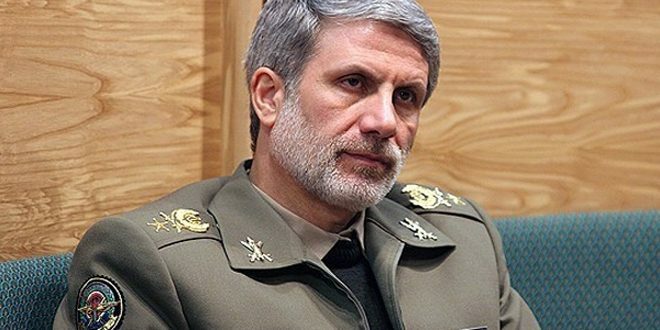 Provinces, SANA – The army units repelled the terrorist organizations’ hideouts and hotbeds in many areas across the country, killing and injuring scores of terrorists. 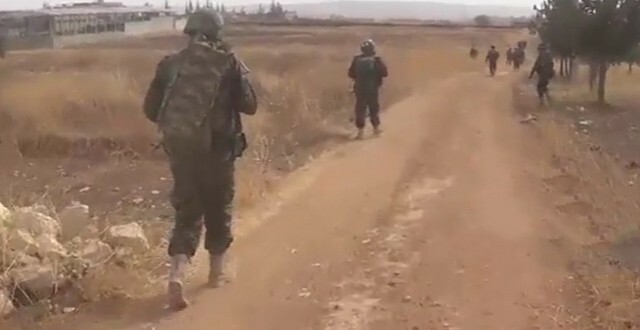 Units of the army achieved new progress in the war against terrorism in Aleppo eastern countryside reaching Kwairis airport and contacting with the heroic soldiers who have thwarted hundreds of attempts by ISIS to attack the airport during the latest months. During the operations carried out to lift the siege on the airport, the army killed hundreds of ISIS terrorists and destroyed their dens and cells with all weapons inside. The army also established control on tens of villages and strategic hills in the eastern countryside of Aleppo, the latest of which was the village of Sheikh Ahmad near the airport. Earlier, the army units targeted Jabhat al-Nusra and other terrorist organizations’ hideouts and hotbeds in the neighborhoods of al-Shaar, al-Sheikh Said, al-Jaberiyeh, al-Sukkari, al-Ashrafiyeh, al-Khaldiyeh and al-Ansari in the city of Aleppo. The terrorist’s hideouts with all weapons, ammunition and equipment inside were destroyed. Another army unit destroyed 3 terrorist’s vehicles with all terrorists on board and equipment inside them in al-Castilo in the city, according to the source. 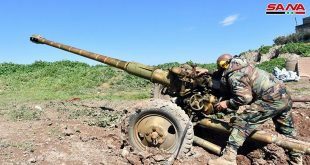 Two terrorist’s heavy machineguns- loaded vehicles in al-Tlailat area and a number of the so-called Ahrar al-Sham Islamic Movement’s hideouts in al-Kamari in al-Hader area in the southern countryside of Aleppo province were destroyed in the army continued operations against the Takfiri terrorist organizations. Meanwhile, terrorist organizations acknowledged on their social media pages the killing of two military leaders of the terrorist organizations of Ahrar al-Sham Islamic Movement Ahmad Abu Khamis and Nawar al-Shahhoud, nicknamed Abu al-Walid in addition to terrorists Abu Salam al-Hamwi and Abu Omar al-Doshka. Army units killed over 25 ISIS terrorists and injured dozens others after targeting their hideouts and concentrations near Deir Ezzor Airport and in al-Mari’yeh and al-Jafra. Field sources told SANA that the army destroyed a number of the terrorists’ vehicles, including machinegun-equipped vehicles near al-Taim field. The army units continued advancing in the Eastern Ghouta in Damascus Countryside and established control over al-Mahalej area, located to the south of Marj al-Sulatn, and the farms surrounding it, a military source announced. The source said the army inflicted heavy losses upon the terrorists and their weaponry in the process. Meanwhile, other army units established control over areas near Marj al-Sulatn Airport and in a number of areas near Harasta highway, killing and injuring dozens of terrorists and destroying their weaponry and munitions. The army and armed forces units targeted terrorist organizations’ hideouts in the village of Qalat al-Madiq , 50 km northwest of Hama city, killing at least 4 terrorists. 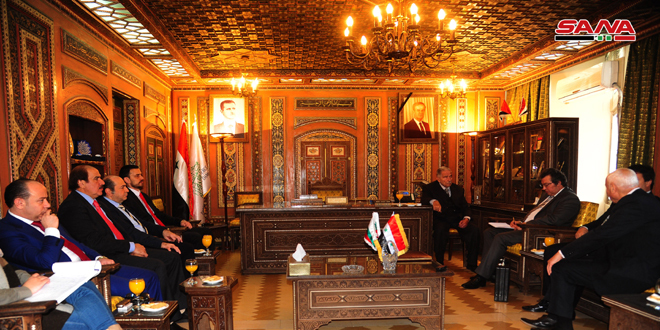 The terrorists are Hisham Bakkour Taha, Walid al- Sheikh, Mohammad Abed al-Saleh and Haidar abdel-Razaq. Field sources told SANA Tuesday that terrorist Ahmad Abdel-Karim al-Suh, nicknamed Ahmad al-Karmou, one of the self-claimed leader of the so-called “Gathering of al-Izza” Brigades was killed with all members of his group in an army operation in al-Latamineh town, 35 km northwest of Hama city. 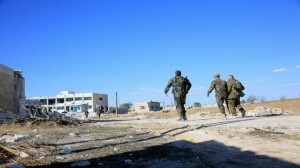 The terrorists Ahmad Ali al-Safan, Khaled al-Mahdi and Ahmad al-Marae were killed, according to the sources, and 3 vehicles were destroyed in Ma’rkabeh village in addition to the destruction of a headquarters and 4 vehicles of the so-called Ahrar al-Sham Islamic Movement in the village of Atshan, where 9 terrorists were killed and others were injured in the army operations. The army’s air force destroyed positions and fortified sites belonging to Jabhat al-Nusra and “Jund al-Aqsa” and “al-Ezza Battalions” terrorist groups in Lahaya village and Morek city in the northern countryside of Hama province. Meanwhile, sources on the ground confirmed the death of many terrorists and the destruction of two pickups in an army operation near al-Abboud checkpoint to the south of Morek city. 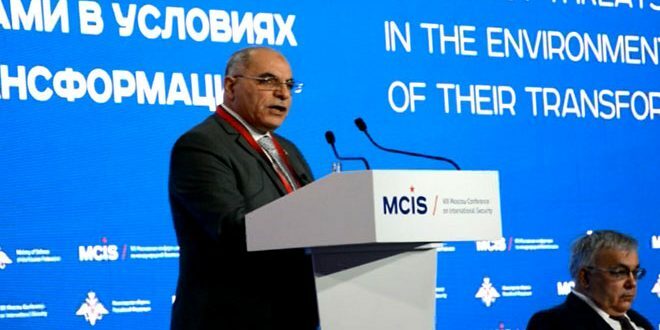 A Turkish terrorist nicknamed “Prince Ahmad Awad al-Malla” was identified among the dead, in addition to Ahmad al-Khaled, Mohamed al-Omar and Bassam al-Ali. 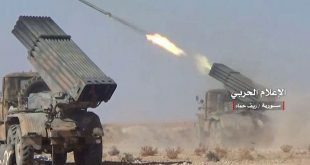 On the border between Hama and Idleb, the army’s air force launched strikes against gatherings and hideouts of terrorists in Kafr Nabbouda and al-Hbeit towns. The air strikes left a number of terrorists dead and vehicles equipped with machine guns destroyed. The army’s air force launched airstrikes against ISIS positions in Mhein town in the eastern countryside of Homs, destroying dens and vehicles for ISIS terrorists there. Later on the day, the army clashed with a group of ISIS terrorists who tried to infiltrate Jabourin and Maksar al-Hisan and killed 15 terrorists. The army also targeted hideoust for ISIS and Jabhet al-Nusra in al-Shumaryeh, al-Hilalyeh, Mahras al-Deik, al-Zabadi, al-Amryeh and Ein Hussein and killed and injured scores of terrorists. Army units destroyed terrorists’ vehicles and positions in separate areas in Daraa al-Balad area in the southern Daraa city. Two command centers for Jabhat al-Nusra were destroyed in al-Abassiyeh and al-Arbaeen neighborhoods in Daraa al-Balad, which is considered a main passage for the infiltration of terrorists and weapons across the Jordanian border. Army units also targeted gatherings of terrorists in the area surrounding Qteifan Square and to the south of the Agricultural Bank in Daraa al-Balad. At least two terrorists were killed in the operations, and those are Mahmoud al-Laki and Mohammad Rizk al-Qteifan. 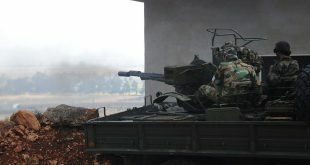 The National Defense Groups in Sweida Province thwarted terrorists’ attempt to attack one of their posts in the province’s eastern countryside, killing two of the terrorists and forcing the others to flee the area.